SPECIAL DAY FOR AADUKALAM BOYS! "#vadachennai - trilogy.Started shooting for part 1 today. director of polladhavan,aadukalam @VetriMaaran .bless us"
It should be noted that stars like Samantha, Samuthirakani, Andrea and Daniel Balaji are also part of the cast list of this film while Dhanush’s home production banner, Wunderbar films will bankroll it along with Lyca Productions. Sivakarthikeyan's female avatar has a competition! Vijay's family’s special plans for his birthday! 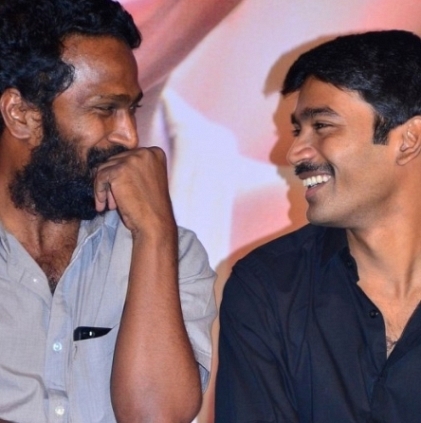 Dhanush Might Complete Kodi And Ennai Nokki Paayum Thotta Before Starting With Vada Chennai. Vetri Maaran Talks About Vada Chennai In A Behindwoods Exclusive Interview. People looking for online information on Dhanush, Vada chennai will find this news story useful.